2016 can be your year. A year of health, happiness and prosperity is destined for your future as long as you stay true to yourself. By remaining determined not just these next few days, but throughout the year, you can experience tremendous physical and mental transformation. Here are 12 steps to conquer any resolution you may have for yourself this year! Brainstorm about improvements you’d like to make. -Think about aspects in your life you would like to improve, whether they be in your health, fitness, relationships, or professional life. Take at least 15 minutes to write down or type out a list of these improvements. -From the list above, pick the two most important improvements you’d like to make. -You will accomplish your larger goal through smaller goals. Break down your big goal by creating smaller “systems” or actions that can help you get to that point. Ex) To loose weight, your actions can include cutting out alcohol, working out four days a week, etc. -Get others involved in your goals for the year by asking for support and encouragement. Tell family and friends about your goals for the year and why you made them. -Print out your list and make multiple copies of it! Keep it at your work desk, on your kitchen fridge, in your purse and gym bag, or anywhere you will be able to look at it to remind yourself what you are working towards accomplishing. -Set a schedule of how you will reach your goal. For fitness, this includes what days you will exercise. -Not next month, not next week but today! Start putting your plans in action TODAY. -Take each day one step at a time. You won’t see immediate results, so instead of concentrating on any numbers, think about your feelings of success. -Food is not the best reward. Reward yourself with a trip to the movies, new clothes or hey…Why not a South Padre Marathon Registration? -Since you won’t see immediate results, just remind yourself of how far you’ve come. -What distracts you from reaching your goals? Recognize them and write them out! Seeing where you may be tempted or where you stray will keep you on track. -Many have found tracking their journey to be very beneficial. Looking back on how far you’ve come can be motivation to keep pushing forward. Blogs are a great outlet because your journey could even help inspire others online! 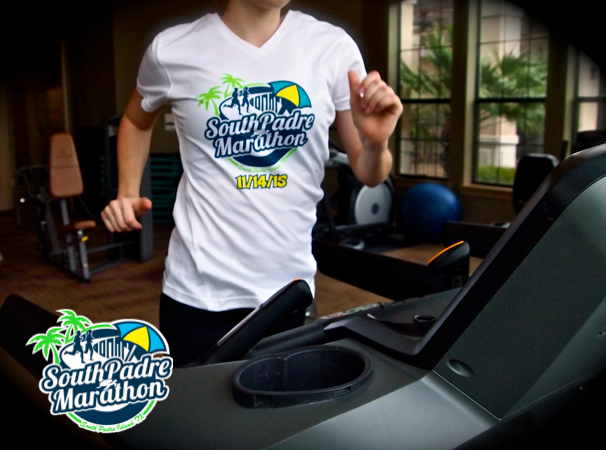 The South Padre Marathon team is here to help you every step of the way. Stay tuned throughout the year for articles on how to train and fuel your body to conquer your goals.